It seems that every week or so brings the news of another major hack or breach at a large company. And that is just the ones we see. For every big hack that makes front page news, there are dozens more on smaller companies that do not generate buzz. Your data with Delta is stored quite securely, but there is no security that can stop every possible hack attack. The first thing to know is that most hackers are lazy, just like everyone else. They want the opportunity to make a fast buck and so they target companies with lax protocols. Anytime a hacker can get in because someone kept a default password or they could just steal a login by sending an email and pretending to be from IT, they are happy. A big company with strong protocols will defeat most attempted hacks just by not using default passwords and creating a protocol for emails from IT. The better the company is at creating and enforcing these policies, the safer their data is. As for Delta American Express, so far there have been no reported hacks of this program. But it is a good idea to carefully check your balance and account history to see if there are any transactions that you do not recognize. That way, you are doing your part to check for hacks. Without a big announcement or a stroke of luck, most companies do not know they are being hacked until months into the process. As long as you do not give out your login information to anyone, even people who email you asking to verify your account, then you are cutting down on the possibility of a leak. Keep your data safe by being very careful about who gets access to it. Representatives from My Delta American Express would never email you and ask for your login information or ask you to put it into an online form. The combination of checking your own account and being careful about the information will ensure you are doing everything you can to protect yourself. Sometimes hacks happen. As we said before, no defense can stop every attack forever, so it is very possible that you will encounter a hack of some kind. If you reuse usernames and passwords across sites, then a hack at one compromises them all. It does not take much, either. 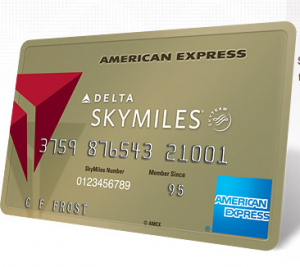 Delta and Amex can take all the precautions they want, and then have a hacker break in due to a weak piece of software they purchased from a vendor. If you are suspicious a hack has occurred, first ask tech support. If you notice missing points or other problems, talk to the card company first to learn if they have any protection for people who are victims of fraud. They can walk you through the process of reclaiming your data and correcting any lingering effects of the attack. The bottom line is that while there are steps you can take to protect yourself, the odds are that My Delta American Express will face a hack at some point. Consider it an eventuality instead of a possibility. Prepare accordingly- document your use of your account and be ready to change logins at other sites to limit the spread of the contagion. Be in touch with tech support and customer service so that you get updated information if anything does go wrong. In the end, fraud and identity theft do not pose much of a problem to a person who is prepared and aware. In reality, none of us are that careful all of the time. Learn about your bank’s fraud protection and make a plan for what you should do if your bank or account seems to have been hacked.